Prime Minister Scott Morrison today will meet with Governor-General Sir Peter Cosgrove and call a Federal election. "The next ten years are important to everybody at every stage of life, the decisions they'll make," Mr. Morrison said in a campaign-style video posted to social media that seemed to preview the announcement. "See the decisions you make in one term of government last for a decade or more. So it isn't just about the next three years, it's about what does the next decade look like." The ABC reports that 18 May appears to be the most likely date for the poll. Israeli opposition candidate Benny Gantz has conceded defeat, leaving it all but certain that Israeli Prime Minister Benjamin Netanyahu will get a record-breaking fifth term in office. Bibi's far-right Likud got as many votes as Gantz's Blue and White party, but Netanyahu quickly put together a coalition of right-wing parties to form bloc with 65 of the 120 seats in parliament. Likud passed out 1,200 body cams to supporters to act as "poll monitors" in Arab neighborhoods, where voter turn out dropped to 46 percent - a court eventually forced Likud to take back the cameras. Israel's Attorney General earlier had said that he planned to indict Netanyahu in three corruption cases in the coming months. America's far-right government is signalling possible revenge investigations against the Federal agents who probed Donald Trump's 2016 presidential campaign for links to Russia, the results of which wound up in the still-unreleased Mueller Report. "I think spying did occur," Attorney General William Barr said, echoing a loaded term used by Donald Trump in his conspiracy theories. "The question is whether it was.. adequately predicated." Testifying before a House appropriations hearing, Barr then said he will be looking to the "genesis" of the Mueller investigation. Democrats condemned the threat of politically-motivated investigation as "irresponsible". Scientists have released the first-ever image taken of a real live Black Hole, long-theorized but never seen until now. The black hole is 500 million trillion kilometers away, but the hot, gaseous "halo" around it is so bright that it could be picked up by the Event Horizon Telescope (EHT), a network of eight linked space telescopes located in Europe, the US, South America, and Antarctica. And it is "a monster", measuring 40 billion kilometers across - three million times the size of the Earth. 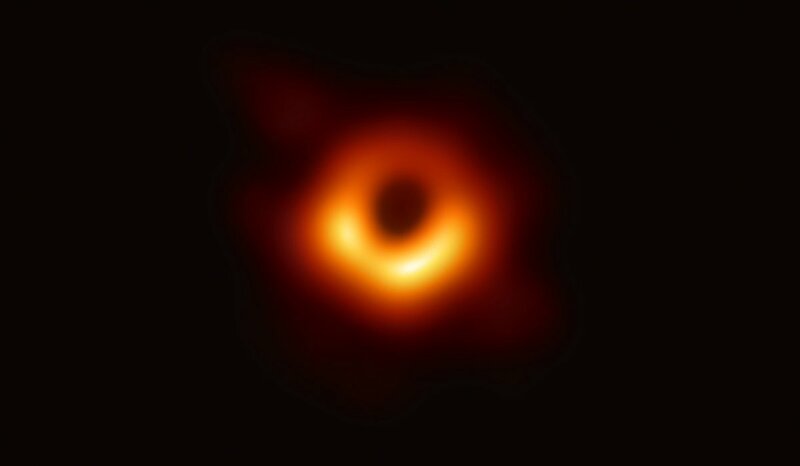 "What we see is larger than the size of our entire Solar System," Professor Heino Falcke of Radboud University in the Netherlands who founded the project to photograph a Black Hole. "It has a mass 6.5 billion times that of the Sun." Black Holes are super dense with gravity so powerful not even light can escape. Except Soundgarden, of course. 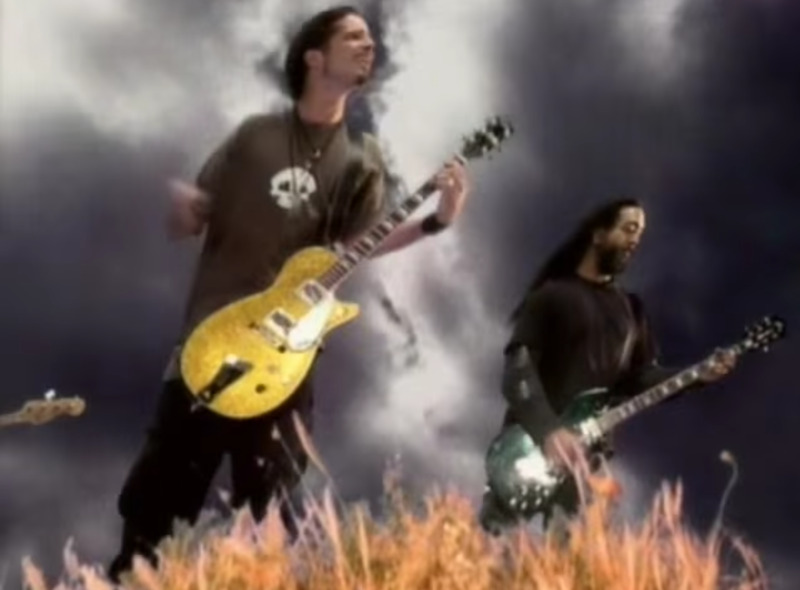 Soundgarden is much more powerful. Search and rescue teams have located the Japanese Air Self Defense Force (ASDF) F-35A stealth fighter that went missing in a training mission out of Misawa Air Base. They're now looking for the pilot, who reportedly did not signal an emergency after the extremely pricey fighter jet disappeared just 28 minutes after takeoff. This is the first "A" variant to suffer an accident; a US Marine "B" version crashed last year.